Arda Wig: Grace in Chocolate (CL-070). When I ordered the first wig, the Grace style hadn't been introduced, nor was Dany available in Chocolate. I dyed the lacefront to about the same color as it would have been if it were Chocolate, then found out about the new style in the perfect color and couldn't resist buying it. The Dany would go on to be the bloody version's wig. 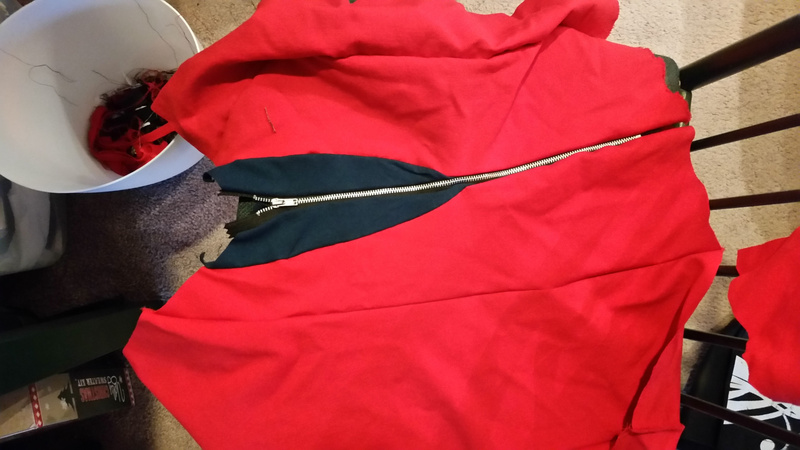 I cut one of the pieces without mirroring it for the other side, so if you look closely, the shoulders are slightly different. Also, I blame A/k/s/y/s entirely for not getting me my preordered watch on time. If I had known they would be dirt cheap by now, I wouldn't have bought a preorder. Fortunately, that's all that truly went wrong. This costume was a dream to put together. 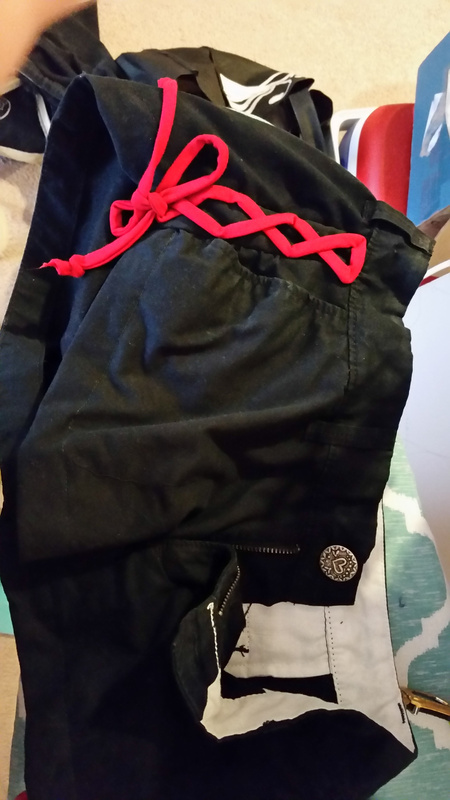 I found shorts in a thrift store, split them up the side with a seam ripper, added a panel for accuracy, and replaced the button with a heart-themed one before adding the fake lacing. Before the references were available, I'd thought it was a ruched edge, but it isn't, it's just an extra panel and fake lacing. Easy to make! I found the base bra off a swimsuit top, which I thought to look for because the game's character notes said her top was a swimsuit. Then, I covered the cups and studded it by hand. The shoes, though. The shoes are the crowning achievement. I found them online and bought them, and when they fit perfectly and painlessly, I bought a second pair for non-cosplay use. 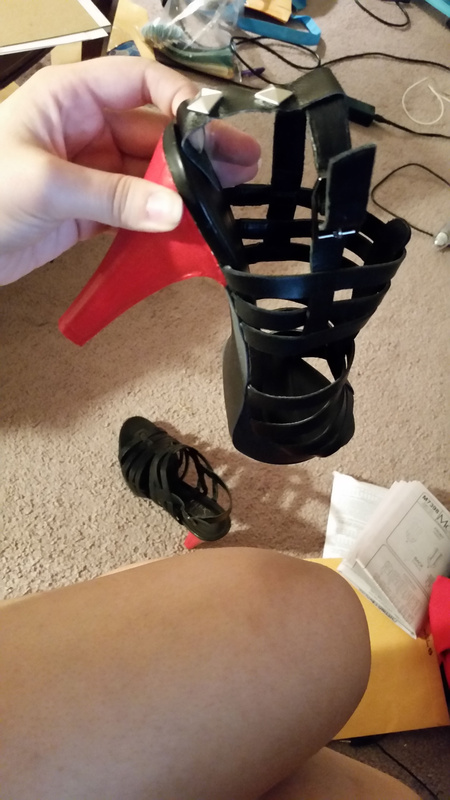 I painted the heel with leather paint and sealants, added a back strap, and added a zipper attached to pleather in front. They're so close to accurate that I wish more people knew I loved them. Between versions, I changed the bra fabric from a cheap JoAnn stretch to the Yaya Han stretch vinyl and I couldn't be happier. Otherwise, I'd fix that shoulder that wasn't mirrored. Beyond that, I'm 100% happy with this costume! When we were waiting for announcements of the last two characters in this game, participants 4 and 8, I knew I would be waiting for a "booby lady" typical of Uchikoshi's works. She was announced as "maybe Mila," later confirmed "Mira," and I knew it was my duty to fulfill the set of 3 booby ladies in the Zero Escape trilogy. Then, when the game came out and I had guessed she'd be an antagonist type, I just started to love her more. The more people tell me they hate Mira because she "lacks depth" or "is a psychopath," the more I want to cosplay her to raise awareness for mental illness and disorders. The more I want to play with her fascinations. The more I want to strut around not caring about the small stuff. She's been great to have in my arsenal. I was catcalled and harassed in this costume outside of Fanimecon 2017. I also almost passed out in this from dehydration at Otakon 2016... drink water often, kids.